Strengthen your business relationships through improved interactions and experiences with Cisco Business Edition 6000, a sophisticated, yet simple on-premise collaboration solution. Built with industry-leading, proven, and trusted technology, Cisco Business Edition 6000 delivers end-to-end collaboration capabilities for up to 1000 users, 2500 devices, 50 sites, and 100 contact centre agents. The packaged solution solves complex communications challenges with one purpose-built, simple-to-use and centrally-managed platform. Differentiated communications capabilities: Cost-effective, high-quality multiparty video conferencing brings employees, customers, and partners closely together. Simplified deployment and management: A preconfigured virtualized server with ready-to-run virtualization software and ready-to-activate collaboration applications makes setup quick and easy. Open and interoperable architecture: Innovative system transparently supports third-party applications, and telepresence and video endpoints. Cisco Business Edition 6000 helps to improve business processes and collaboration throughout your entire organization. Boost productivity with an efficient working environment that supports users on any device, from any location, at any time. Customize the collaboration you need today with the flexibility to change and adapt with growth. Respond quickly and effectively to your customers, improving their satisfaction and loyalty. Reduce operations complexity and costs by providing your limited IT staff with one simple solution to manage. Lower TCO with hardware consolidation, reduced power and cooling costs, and easy-to-use provisioning and administration tools. What is the Business Edition 6000? 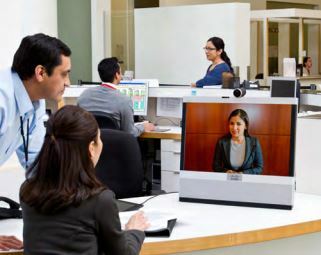 he Cisco® family of Business Edition 6000 (BE6000) solutions gives employees a full range of collaboration tools: premium voice, video, messaging, instant messaging and presence, conferencing, video conferencing, contact center services, mobility capabilities, and more. With these tools your small or midsize business can boost productivity among employees and strengthen relationships with customers and business partners. And they can help you speed decision-making and reduce time-to-market. Cisco BE6000 is delivered with a suite of ten preloaded, ready to activate Unified Communications and Collaboration applications. And as your business needs grow, you can easily “turn on” the additional application options supported, including contact center, video conferencing, and more. With these choices in size and functionality, you can select a collaboration engine that meets your business’s specific needs. BE6000M – Suppots up to five collaboration application options in a single virtualised server: with a maximum capacity of 1000 users, 1200 devices and 100 contact centre agents, the Business Edition 6000M is ideal for medium scale end to end collaboration deployments. BE6000S – Supporting five fixed collaboration applications in a single integrated gateway, router and virtualised serve, the Business Edition 6000S provides for a maximum capacity of 150 users and 300 devices – perfect for small “office-in-a-box” collaboration deployments. VideoCentric are the UK’s leading Video Conferencing Integrator, and are a Cisco Premier Partner, Cisco Advanced TelePresence Partner, and Cisco Collaboration Partner, with over 15 years expertise in Cisco Video Conferencing and Cisco TelePresence equipment. VideoCentric have supplied, integrated and installed hundreds of Cisco Video systems, and maintain and support systems for organisations worldwide, with an award-winning maintenance & support programme led by the UK’s most experienced video conferencing support team. Not only an endpoint supplier, VideoCentric design and integrate video conferencing network infrastructure, and manage, monitor & maintain Cisco on-premise, virtual & cloud solutions. Find out more about VideoCentric and Cisco’s relationship here. VideoCentric have one of every Cisco video conferencing codec for demonstration – including the Cisco SX10, Cisco SX20 and Cisco SX80 -, a portfolio with also includes one of every Tandberg Video Conferencing endpoint, and each end-of-life system for customers looking to compare their current system against the new SX, VX, EX, TX and DX series. To see the Cisco SX10, any other Cisco Video endpoint, or the Cisco Video Communication Server (Cisco VCS) in action, contactVideoCentric today.